This beautiful necklace is composed of a thick, 18 gauge sterling silver washer measuring 1" outer diameter and 5/8" inner diameter. 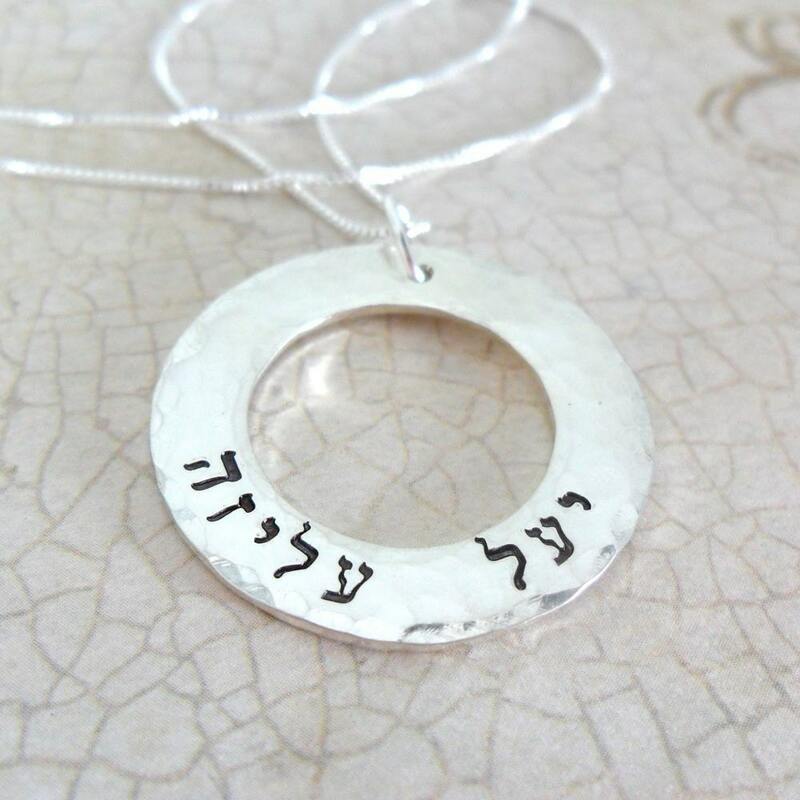 Washer will be hand stamped with the Hebrew name or names of your choice and given a lightly hammered finish. Necklace will arrive with your choice of a 16", 18" or 20" sterling silver box chain. 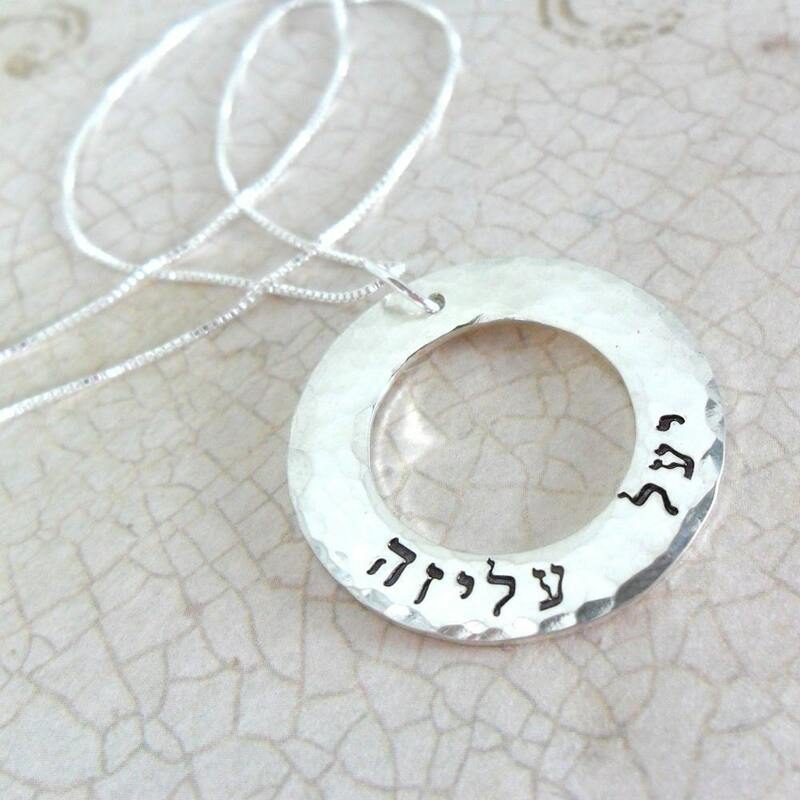 Please specify the name you would like hand stamped in the note space provided at purchase.